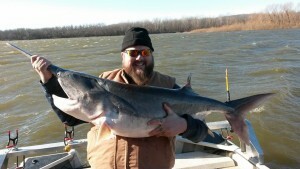 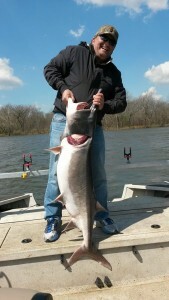 Fort Gibson Lake and the Choteau Bend area are excellent for winter and springtime spoonbill paddlefish!!! 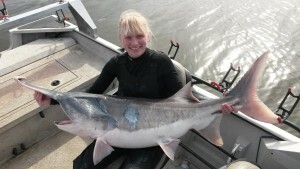 It boasts the highest population of spoonbill paddlefish and has many fish weighing in the 40-60 pound range. 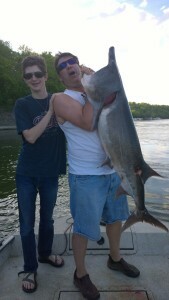 We do catch a few larger than 60 pounds each year. 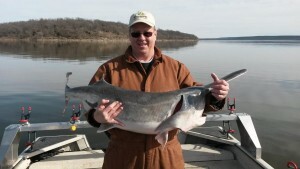 For a chance at a trophy, also check out Grand Lake O’Cherokees. 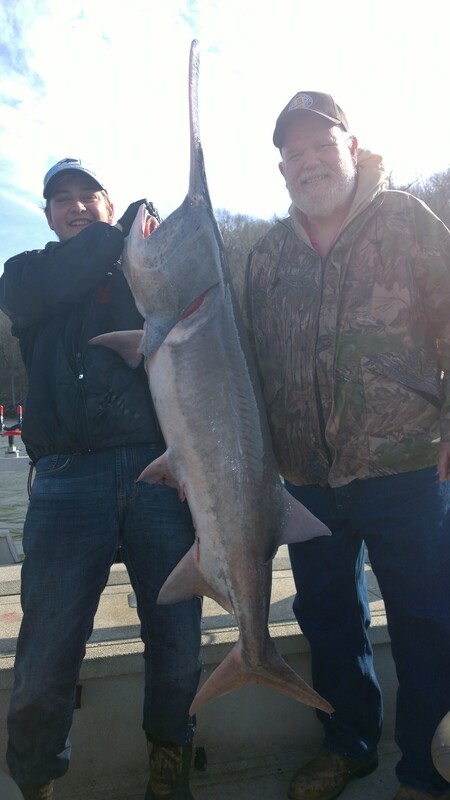 Spoonbill Paddlefish are filter feeders and must be snagged using large barbless treble hooks. 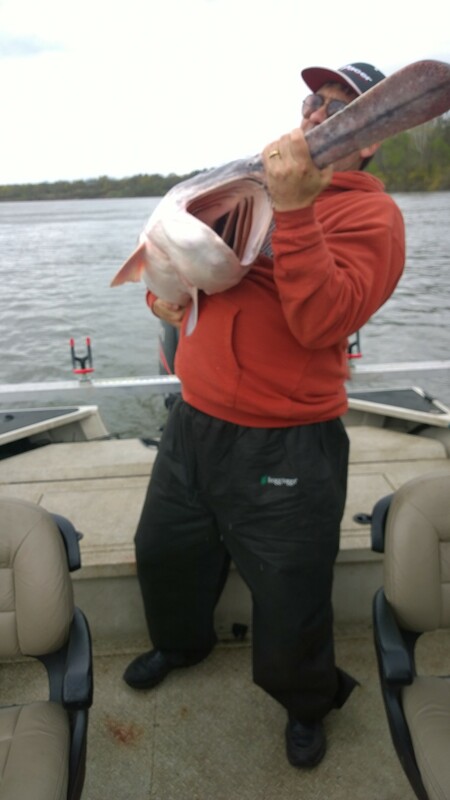 In the colder months, when they are in deeper water, we troll for them. 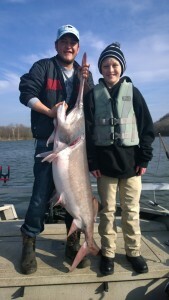 If it’s cold, we’ll put the full enclosed top up and turn the heater on thanks to the SeaArk ProCat 240 fishing boat. 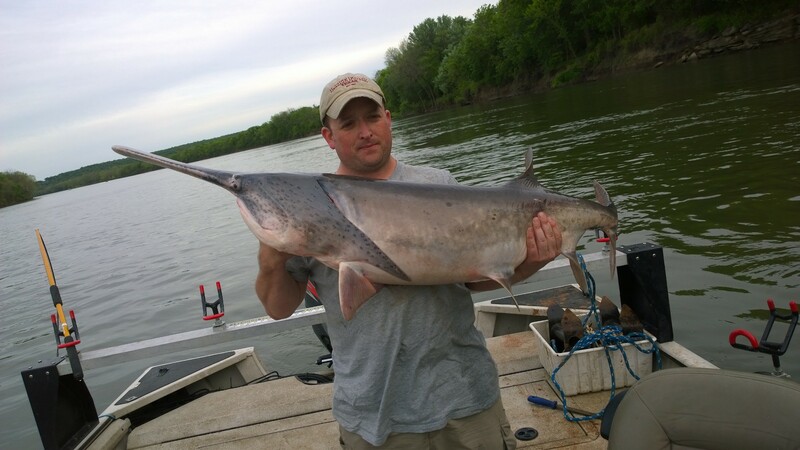 Spoonbill Paddlefish regulations are as follows: two may be retained each year, only one per person per day with the exception of Monday and Friday which are catch and release only. 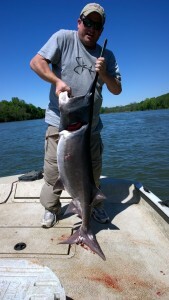 You must have a valid Oklahoma fishing license, either resident or non-resident, and the FREE paddlefish permit. If you’ve never hooked up with one of these fresh water beasts, call/text 918-607-7357 or email lancesguideservice@gmail.com to book your guided fishing adventure. 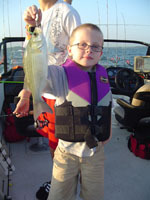 Fort Gibson and the Choteau Bend area are also one of the top white bass (sand bass) locations in the state of Oklahoma. 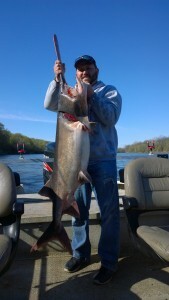 In the spring, they make their annual run up the Grand River. 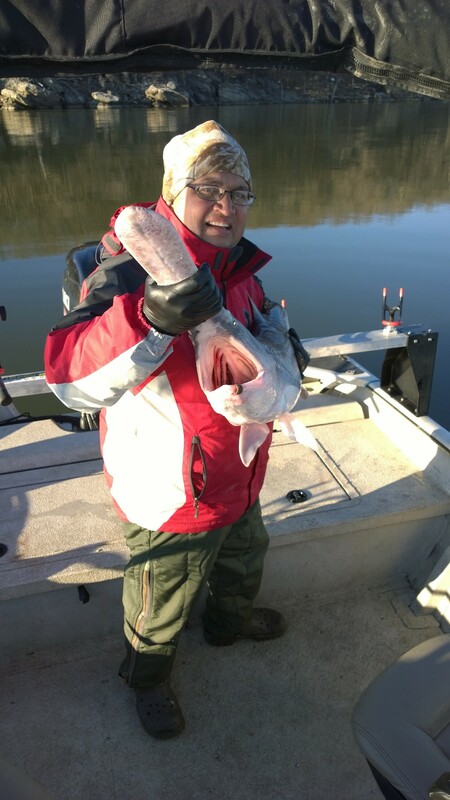 Lance’s Guide Service offers live bait guided fishing trips during this time for great white bass (sand bass) springtime action! 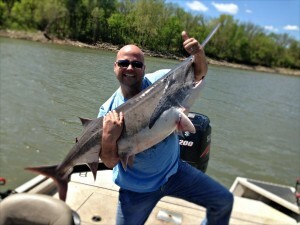 We can also do an artificial lure guided fishing trip if desired. 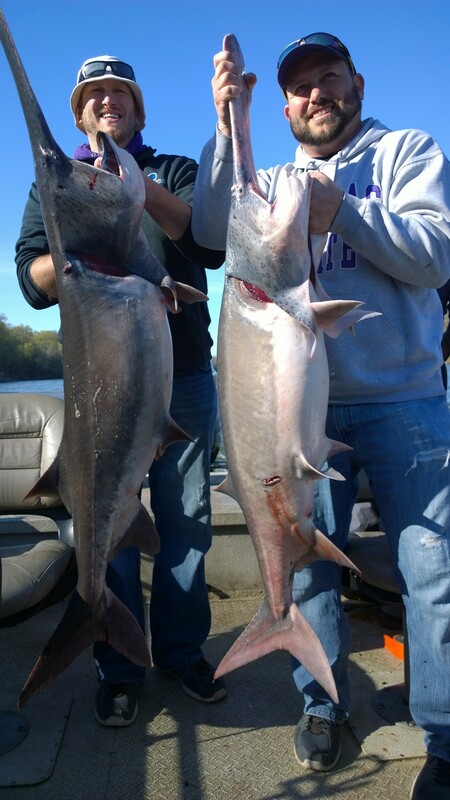 If you’d like to do a half day for spoonbill paddlefish and a half for white bass (sand bass), just let us know! 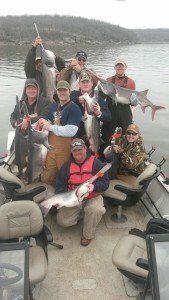 Spoonbill fishing at Fort Gibson Lake in Oklahoma.